Trumpet. Composed by Gordon Goodwin. Brass - B-flat Cornet (Trumpet) Method or Collection; Method/Instruction; Play-Along. Jazz Play-Along Series. Jazz. Book; DVD. 60 pages. Alfred Music #00-43709. Published by Alfred Music (AP.43709). 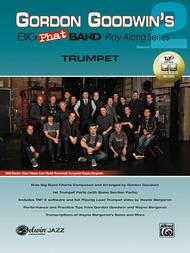 This version of Gordon Goodwin's Big Phat Band Play-Along, Volume 2 for Trumpet teaches the art of ensemble playing, as well as being a lead trumpeter. 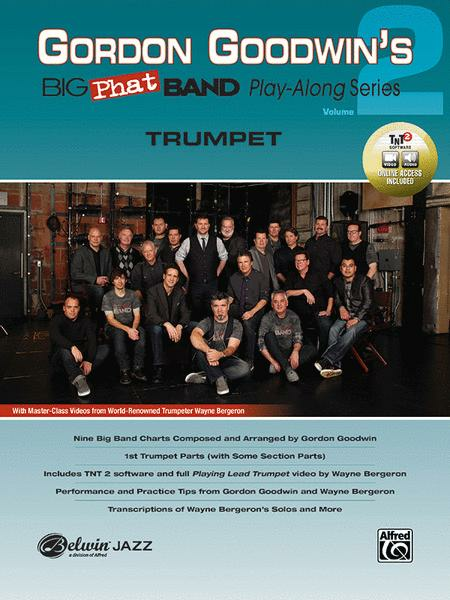 The book and DVD kit features actual charts from Gordon's recent CDs, TNT 2 software and play-along tracks---and now, the full video content from band member Wayne Bergeron's instructional DVD, Playing Lead Trumpet. The charts include swing tempos from medium to very fast, funk and Latin grooves, and the video showcases Wayne performing excerpts from them. With this comprehensive play-along, you will learn volumes of information about style, phrasing, tone, dynamics, technique, articulation, playing in time, chops, equipment, and improvisation!